Mr. Rakesh Kapur, President of International Fertilizer Association (IFA), is the Joint Managing Director, Indian Farmers Fertiliser Cooperative Ltd. (IFFCO), which is the largest fertilizer Cooperative in the World with a turnover of USD 3.2 Billion (2017-18). Mr. Kapur has been associated with the fertilizer sector for the past 25 years. Mr. Kapur held various senior positions in Government of India in the Ministry of Chemicals & Fertilizers, Telecom Regulatory Authority of India, Municipal Corporation of Delhi and Ministry of Finance (Income Tax Department) prior to his joining IFFCO in the year 2000 as Finance Director. Mr. Kapur serves on the Board of Directors of several Indian and Foreign Companies apart from being the Managing Director of two Indian Companies and Chairman of another Joint Venture Company. He was the Chairman, Fertilizer Association of India (FAI) during 2015-17 and Oman India Fertilizer Company S.A.O.C. during 2009-10 and 2014-15. He has traveled widely and participated in various national and international Seminars / Conferences, and presented papers on different subjects. Mr. Kapur is a former Indian Revenue Service Officer who holds B. Tech Degree in Mechanical Engineering from Indian Institute of Technology (IIT), New Delhi with a Post-Graduation in Management. Jacob Duer is the Chief of the Economy Division's Chemicals and Health Branch. He joined UN Environment in 2002 and has worked in the Divisions of Policy Development and Law and Environmental Law and Conventions as both Special Assistant to the Director and Programme Office. Jacob was also previously appointed to the Strategic Implementation Team as Senior Advisor on Human Resources Planning and Policy. He has held roles such as the principal coordinator of the Secretariat of the Strategic Approach to International Chemicals Management, the Interim Secretariat of the Minamata Convention on Mercury and the Secretariat of Special Programme on Institutional Strengthening. Prior to joining UN Environment, Jacob worked as the Executive Assistant to the Under-Secretary General of the United Nations Office on Drugs and Crime (UNODC) in Vienna. He has also held various field assignments in West Africa. Jacob holds a Master's Degree in Business Administration and Management and has a background in project management, as well as financial and human resource administration. Born in 1971. Graduate of Moscow State University (Department of Economics), California State University Hayward (MBA). From 1998 he held a number of senior management positions in Sederrot International AB, Mineral Trading, UralKali Trading SA (Singapore). From 2007 till 2011, he held the positions Commercial Director of UralChem. Since 2011, Dmitry Konyaev is Chief Executive Officer of UralChem. Since 2007 Mr. Konyaev has been a member of the Board of Directors of UralChem. Ms Charlotte Hebebrand serves as the Director General of the International Fertilizer Association (IFA) since January 2013. In this capacity, she leads IFA’s efforts to promote the efficient and responsible production, distribution and use of plant nutrients in support of global food security and sustainable development. Prior to joining IFA, Ms Hebebrand served as Chief Executive of the Washington DC based International Food & Agricultural Trade Policy Council (IPC) from February 2006 until July 2012. She led the efforts of IPC members - a diverse mix of distinguished international agricultural trade experts from around the world - to promote a more open, equitable and sustainable global food system. Ms Hebebrand has also worked with the European Commission, serving as Special Advisor on international development, trade, agriculture and food safety issues in its Washington delegation, and with the Brookings Institution's Foreign Policy Division. She holds a B.A. from Georgetown University and a M.A. in International Relations and Economics from Johns Hopkins University's School of Advanced International Studies. Adam Paschal is the Director of Business Development for ThyssenKrupp Industrial Solutions (USA), Inc. He has been in the EPC industry for over 20 years building power plants and chemical plants, where he has worked both in the field as an electrician, as well as in various management positions in the office leading him to his current role. Adam holds multiple undergraduate degrees in areas of Business and IS, as well as receiving his postgraduate MBA from the University of Denver. He has been with ThyssenKrupp for over 5 years, with an industry focus on Fertilizers and AWE to Chemicals. Born in 1983, Hanane MOURCHID obtained a Chemical engineering degree from the Mohammedia School of Engineers in Morocco in 2006. She joined, during the Same year, the BMCE Bank as an MOA project manager. In 2007, she joined the OCP Group in Safi plateform, and worked as a process improvement engineer and then as an industrial construction project manager . In 2011 she worked on Operational change management & lean manufacturing projects. 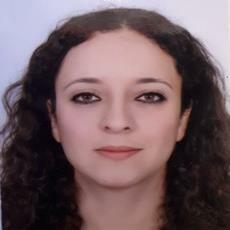 She took in charge production plants as a phosphoric acid production manager for 4 years, and then as a senior production manager of the Maroc Phosphore I Complex. In 2017 She was appointed director of the Jorf Fertilizer Company V in Jorf Lasfar . Since June 2018 she is VP-Head of Circular Economy Program within OCP. Hanane Mourchid attended the HEC Paris Executive Development Program and holds the MIT Executive Education Program Certificate. In 2017 she received MBA from Africa Business School-Mohamed VI Polytechnic University and the Certificates of Business Excellence and Business Specialty & Strategy from Columbia University in New York. Mrs Ylisuutari has a wide experience in sustainability and environmental management in the food chain. Her work history comprises 30 years of experience in Sustainability, HESQ (Health, Environment, Safety, Quality), Product Stewardship and Food Safety management in the food chain covering fertilizers, agrichemicals, farming and food production. Since 2004 she has been working in the fertilizer sector. During that time she has contributed to the development and implementation of the European and IFA Product Stewardship programs for fertilizers as well as development of the Quality, Environmental and Product Stewardship management in Yara. In the past five years her work has mainly focused upon Sustainability and ESG (Environmental, Social and Governance) matters in Yara. In her current position as the Corporate Environmental Director, one of her key responsibilities has been to improve the identification, assessment and management of environmental risks. By nationality Ms. Ylisuutari is Finnish and she holds a M.Sc. degree in process engineering from the University of Oulu, Finland. Tanguy de Bienassis is a financial specialist in the Carbon Markets and Innovation team at the World Bank in Washington, DC. His work focuses on innovative climate finance initiatives such as the World Bank Climate Auctions Program. Prior to joining the World Bank Group in 2012, Tanguy de Bienassis worked in investment banking and strategy consulting and graduated from ESSEC Business School in Paris. Terry McCallion is the Director of the EBRD Energy Efficiency and Climate Change Team in the Banking Department, based in London. He previously was a banker in the EBRD’s Financial Institutions Team working on transactions with banks, insurance companies and mortgage finance clients. Prior to joining the EBRD, Terry was Finance Manager at MMT, an environmental technology business in the United States. He started his career as an engineer in the oil and gas business with Bechtel before attending business school and moving into banking and finance. He has B.Sc. in Chemical Engineering from Queens University and an MBA from Columbia Business School. Mainly research in coal chemical industry, particularly in Ammonia, Methanol CTL, CTG. Principal investigator of numbers of research on national coal chemical industry project and policy. Led or participated in dozens of evaluation, project planning, FSR for chemical enterprises in China. Mr. Faessen obtained a MSc degree in physics, University of Technology in Eindhoven, the Netherlands. After graduation Mr. Faessen worked as a developed operator training simulators and AI applications at DSM research. He worked in the DSM polypropylenes and caprolactam plant as a sr. process control engineer. Mr. Faessen co-founded Protomation, a company specializing in developing and delivering OTS solutions. In the last few years Mr. Feassen was heading the Process Control and Modeling department in Stamicarbon. Currently Mr. Faessen is responsible for the business development of digital services within MTIC, the innovation center of Maire Tecnimont. Hannes Storch was born in 1970 in Frankfurt/Germany. He studied at the Universities of Clausthal-Zellerfeld and Karlsruhe and holds a doctor degree in Chemical and Process Engineering. Hannes joined Outotec in 2002 as Process Engineer in Sulfuric Acid Technologies. After a three-year stay in Chile, Hannes was promoted to Head of the Product Line of Sulfuric Acid and Off-Gas Cleaning. Today he is one of the Managing Directors of Outotec’s German operation and is heading the Business Line Metals and Chemicals Processing. Hannes is also a member of the Board of VDMA – Large Plant Building Section. Elizabeth (Betsy) Dutrow leads the U.S. Environmental Protection Agency’s ENERGY STAR industrial partnership, a voluntary program that helps manufacturers improve energy efficiency. Her design for engaging industries in ENERGY STAR and securing high-level attention for corporate energy programs to succeed has enabled hundreds of companies to build productive energy management programs. Through Ms. Dutrow’s efforts, major industries are actively engaged in energy management with ENERGY STAR and can benchmark their plants’ energy performance nationally and identify opportunities for energy improvement. Ms. Dutrow has a degree in chemistry and is a Certified Energy Manager. Lara Moody is the Vice President of Stewardship and Sustainability programs at The Fertilizer Institute (TFI). She joined TFI in 2004 and is responsible for development and implementation of the Institute’s programs to increase the use and adoption of fertilizer best management practices and for leading development and delivery of an industry sustainability initiative addressing fertilizer production, fertilizer use, and the food supply chain. Lara is a Registered Professional Engineer who received a Bachelor of Science degree in agricultural engineering and Master of Science degree in Biosystems Engineering from the University of Tennessee in Knoxville. Ed Thomas is the Director of Regulatory Affairs. Before joining TFI, Ed was employed as an engineer at the Virginia Department of Health, Department of Drinking Water. Before that, he spent 10 years at the Washington, D.C. office of the National Rural Water Association, serving as their Director of Regulatory Affairs. Ed began his career at the U.S. Environmental Protection Agency, Office of Water as an environmental consultant. Ed graduated in 1993 from Virginia Tech with a B.S. in biology and went on to earn his M.S. in environmental engineering from Johns Hopkins in 1996. As global director of regulatory, Gary leads the world-wide regulatory effort, and coordinates the generation of regulatory chemistry, toxicology, residue, and environmental fate data in support of Verdesian product registration. Gary has more than 30 years’ experience in the agricultural chemical industry serving as a scientist, manager, or director for several companies including CIBA-Geigy, Griffin LLC, Rivendell International USA, Arysta LifeScience, and United Phosphorus prior to joining Verdesian. Gary holds a bachelor's degree in chemistry from Northern Michigan University, and a doctorate in bioorganic chemistry from the University of Connecticut. Dr. Greg Schwab is the Senior Director of Technology and Innovation at Koch Agronomic Services, LLC (KAS), a subsidiary of Koch Ag & Energy Solutions, LLC. KAS is focused on developing customer-driven solutions to maximize plant performance in the agriculture and turf and ornamental industries. Dr. Schwab is responsible for leading KAS’s global agronomic research efforts on technologies in the innovation pipeline and on the existing portfolio of enhanced efficiency fertilizer products. In addition, he leads the innovation team which is focused on identifying and advancing the product portfolio and new business platform opportunities. Prior to his tenure with KAS, Dr. Schwab was an Extension Specialist at the University of Kentucky for almost 10 years. He earned his B.S. in Agriculture from Berea College, a M.S. in Agronomy from Auburn, and a Ph.D. in Agronomy from Kansas State University. Dr. Schwab grew up on an integrated livestock and row-crop farm in southwestern Ohio. Mr. Adamchak is currently President of Pursell Agri-Tech. Prior to joining Pursell Agri-Tech in 2017, Mr. Adamchak was Managing Director of Ameropa North America, a fertilizer trading company and part of Swiss based Ameropa-AG, from 2004 through 2016. This was preceded by a 3-year stint as Regional Marketing Director for Transammonia and 17 years in various roles at International Raw Materials, 14 years of which were as Group VP of Trading. Nick currently sits on the boards of next generation agricultural ventures Agrinos A/S and Unity Envirotech. In 1982 he received a BS degree from St. Joseph’s University in Philadelphia. Andy O'Hare is currently the Vice President of Public Policy with The Fertilizer Institute (TFI), in charge of coordinating public policy advocacy on behalf of the association. Prior to joining TFI in 2014, Andy was the Vice President of Government Affairs for the Portland Cement Association (PCA), the trade association for the U.S. cement manufacturing industry, organizing their environment, health and safety and other government affairs programs for nearly 10 years. Other previous positions include Senior Regulatory Analyst with the American Petroleum Institute (API), the national trade association for the petroleum industry located in Washington, D.C. While at API, Mr. O'Hare spearheaded federal regulatory and legislative advocacy on numerous issues. While at Booz-Allen and Hamilton Inc., Andy developed federal waste management regulations under federal contract and conducted multi-media environmental audits for private sector clients. Andy also worked as a petroleum geologist in Texas and New Mexico before coming to Washington in 1987. Andy earned a master of science degree in geology and a bachelor of science degree in chemistry, both from the University of Kentucky. He is a registered professional geologist in the Commonwealth of Virginia and is a Certified Association Executive (CAE). Andy is a New York City native. Don Smith serves as Director of Environmental, Safety, Security & Sustainability for Yara. He’s dedicated his professional career to environmental stewardship and occupational workplace safety. After leading Yara’s Operations for 6 years, it serves as a constant reminder to always take a practical approach to EHS! Don holds a B.S. in Environmental Science from the University of Wyoming and an M.B.A in Executive Management from the University of South Florida. He’s a registered CHMM and was a finalist for the “Tampa Bay Up & Comers Under 40” Award, dedicated to honoring the top emerging executives & entrepreneurs in the region. Antoine Hoxha joined Fertilizers Europe in 2010, after 8 years in the fertilizers industry at Prayon where he held positions in R&D and the technology licensing. He has hands-on experience in production and technology in many and holds 2 patents on novel technologies for producing phosphoric acid. Previously he had worked at the University of Liège as teaching assistant and at Warwick University in pharmaceutical related research. Antoine was born in Tirana, Albania in 1968. He holds a PhD in Chemistry from University of Liège and an Executive MBA from the Catholic University of Louvain in Belgium. He was also President of the International Fertiliser Society and external lecturer at the University of Liege. He graduated as a Biochemical Engineer at the University of Louvain in Belgium. He joined Prayon Technologies Company in 1995. After 6 month in production, he joined the licensing division. He participated during three years to the study, the pilot tests, the construction, the training of operators and the start-up of a purified acid plant in Morocco. In 1998, He joined the Fertilizer grade Phosphoric acid team to perform the same type of activities. In 2002 he was the Commercial Manager of Prayon Technologies; the technologies offered include Phosphoric acid and related technologies along with Profile, an other division of Prayon, for the fabrication equipment as filters, agitators droplets separators and so on. In 2004 he joined CYTEC as a Project Manager and Maintenance Specialist. He managed revamping projects of three production units and improved the reliability of these plants. In 2006 he joined De Smet Engineers and Contractors, an EPC company specialised in the supply of turn key plant, as Project Manager. He worked in the commercial team as a Business Development Manger. He developed the biomass business division. In 2010 he joined back Prayon as a Process Manager. He works on the technical and commercial development of new and existing phosphoric acid technologies. In 2013, he became General Manager of Prayon Technologies. A Chemical Engineer from NIT Rourkela with over 30 years of experience & Head Projects at Paradeep Phosphates Ltd, Adventz Group, India. Rich professional experience includes diverse functional responsibilities in Strategy, Production, Projects and Marketing. Have undergone an Executive Enrichment Programme as well as Strategic Business Leadership Programme from Indian Institute of Management, Bangalore. Tyler Howard is currently the Senior Process Engineer at Mosaic’s Belle Plaine Solution Mine in Saskatchewan, Canada. Tyler graduated with honours in Chemical Engineering from the University of Saskatchewan in 2010. Since then, he has gained Process Engineering experience in every area of the Belle Plaine process, contributing to process improvements, a successful nameplate proving run, and strategic mine planning. He is excited to lead the site’s Process Engineering group through the many upcoming innovations, as they continue to WIN and GROW in safety, environmental, and production performance. Tyler lives in Moose Jaw, Saskatchewan with his wife and two dogs. Anthony Zanelli is responsible for the operational activities of ICL Phosphate in Europe including the fertilizer production sites in Amsterdam, (Netherlands), Ludwigshafen (Germany) and the feed phosphate site in Bandirma (Turkey). He started his career as an process engineer within ICL and has now 30 years of experience in the fertilizers industry. He is an active member of many industry defining organizations: Board Member of German Phosphorus-Platform, Council Member of The International Fertilizer Society, Chairman of Meststoffen Nederland (Dutch Fertilizers Industry Association), etc. ICL Group is one of the world’s leading fertilizer and specialty chemicals companies. ICL Fertilizers is one of the world’s largest fertilizer companies that provide farmers, growers and manufacturers on five continents with a wide range of high-performance plant nutrition solutions: potash, Polysulphate, phosphoric fertilizers, phosphoric acid, specialty fertilizers, phosphate rock and tailor-made compound fertilizers. Was born in Ngawi, East Java – Indonesia, November 28, 1964. Earned a bachelor’s degree in Mechanical Engineering – Energy Convertion from Sepuluh November Institute of Technology Surabaya (ITS) - Indonesia in 1988. Completed Post-graduate with a Masters in Engineering in 2007 at Sepuluh November Institute of Technology Surabaya (ITS) - Indonesia in 1988. Started career in PT Petrokimia Gresik from May 1, 1990. Served as Technical and Development Director of PT Petrokimia Gresik and Commissioner of PT Petro Jordan Abadi (PT PJA) since Januari 13, 2016. • Experience in Project Engineering, Commissioning, Operations & Troubleshooting of Gas Turbine based Power Plants, High Pressure boilers and Utilities in Urea manufacturing complex.